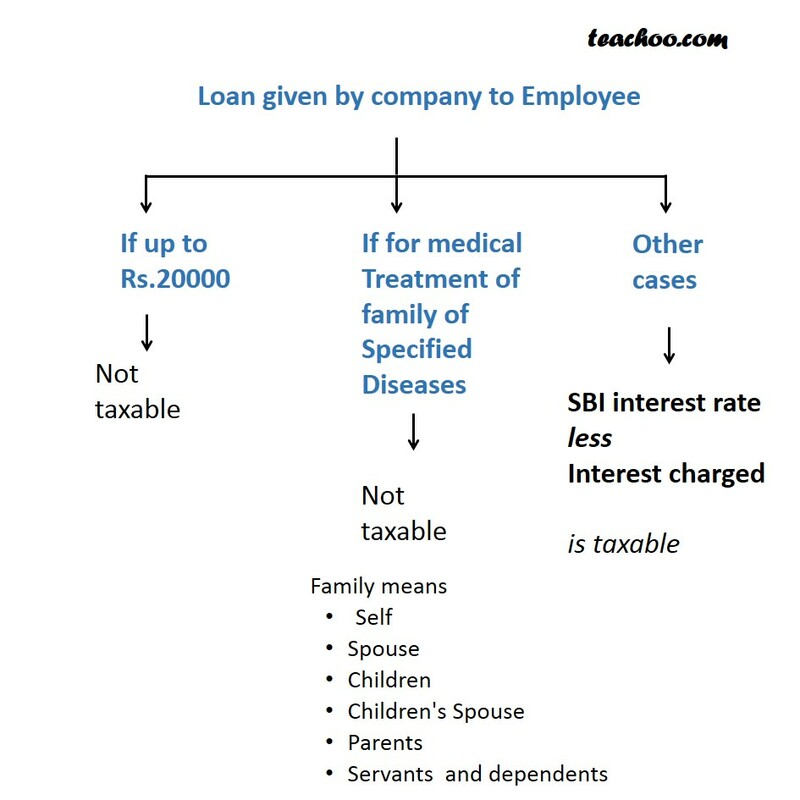 If loan is provided to an employee, then the interest on loan is taxable Perquisite. SBI interest rate as on 1st April is to be taken.For example – for 2015 -16 financial year SBI interest rate as on 1st April 2015 to be taken. SBI interest is to be calculated on the maximum amount of Loan outstanding per month. Rate of Interest=10% as per SBI as on 1 st April on personal loan.